Poste Vita and Bancoposta Fondi SGR have become signatories to the UN-backed Principles for Responsible Investments (PRI), confirming the Poste Italiane Group’s commitment to corporate social responsibility. 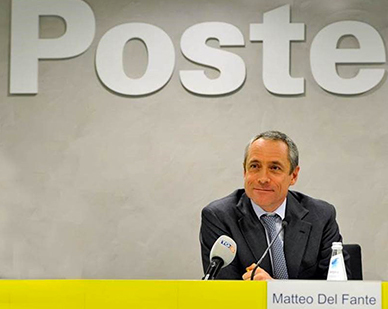 This marks the continuation of the organic process of applying Environmental, Social and Governance (ESG) at all levels of Poste Italiane’s activities, in its strategy, governance and business processes. The six principles cover a range of actions designed to enable the adoption of ESG criteria in traditional investment processes and policies and formally commit the Company to consider ESG issues in its investment analysis and in the related decision-making processes. The Principles also require us to incorporate ESG issues in our relations with stakeholders and to ensure appropriate disclosure on the issues by the Company and the entities in which we invest. In addition, Poste Vita and BancoPosta Fondi SGR will promote acceptance, implementation and the improved effectiveness of the Principles in the financial sector, and report to stakeholders on their activities and the progress made in implementing the Principles.